If you’re at all familiar with the Engaged team or the topics we cover on this blog, by now you know that there’s one thing we think ALL weddings should have in common. They should be unique. Our planners, hair stylists, florists, bakers, caterers…essentially everyone we work with in the wedding industry…will tell you that it’s the personal touches and details you incorporate into your wedding that make it distinctly yours. Your special day should be inspired by your story and who you are as individuals much more so than any image you come across browsing the Internet or the various social media outlets. While those things are remarkable for sparking an idea, it is how you weave your personalities, love, and histories into the tapestry of your wedding design that make it the fairy tale of which you’ve always dreamed. Now, the other essential truth about weddings we can all agree on is that they can get expensive very quickly. While there is a dream day meant for every bride and budget, we like to help our couples get creative with how they can style their wedding in ways they can still enjoy beyond their champagne and sparklers exit. 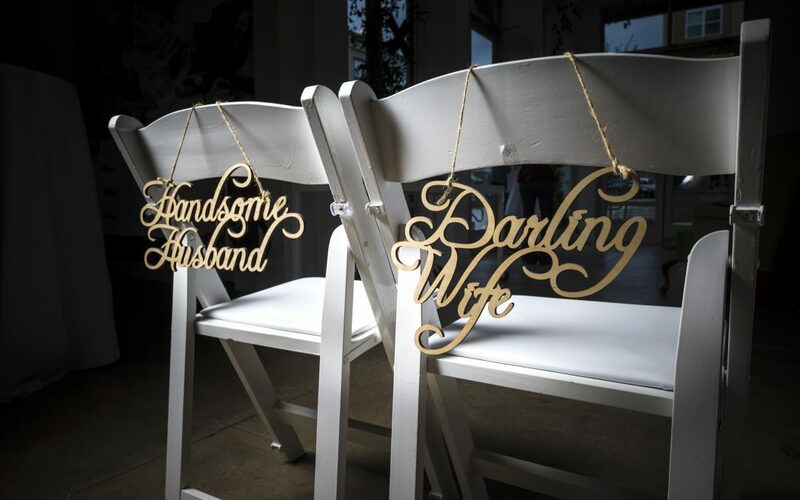 So when we’re looking to add details that are A) unique, B) capture the spirit of the happy couple, and C) can be worked into your budget and enjoyed as a post-nuptial keepsake, right away we think of having the Boomerang Custom Laser team create a custom laser cutting or engraving! 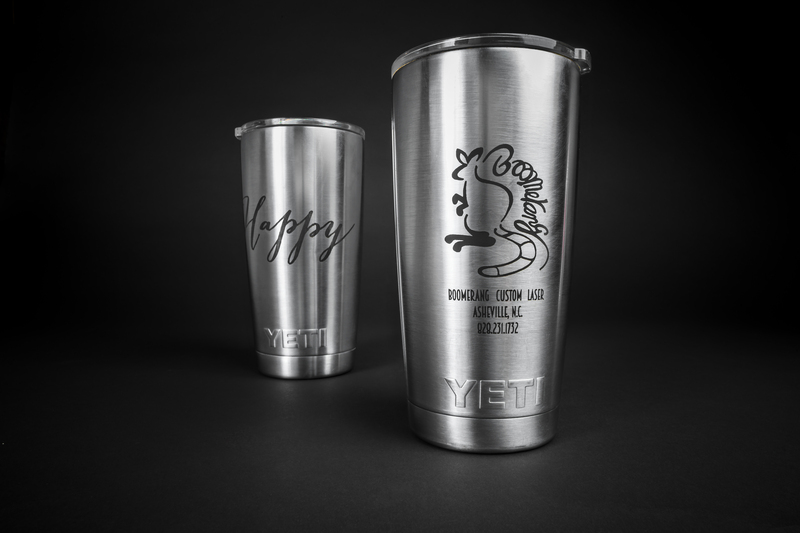 Have you ever considered a laser cutting or engraving? The possibilities are endless, limited only by your imagination…and possibly your budget. 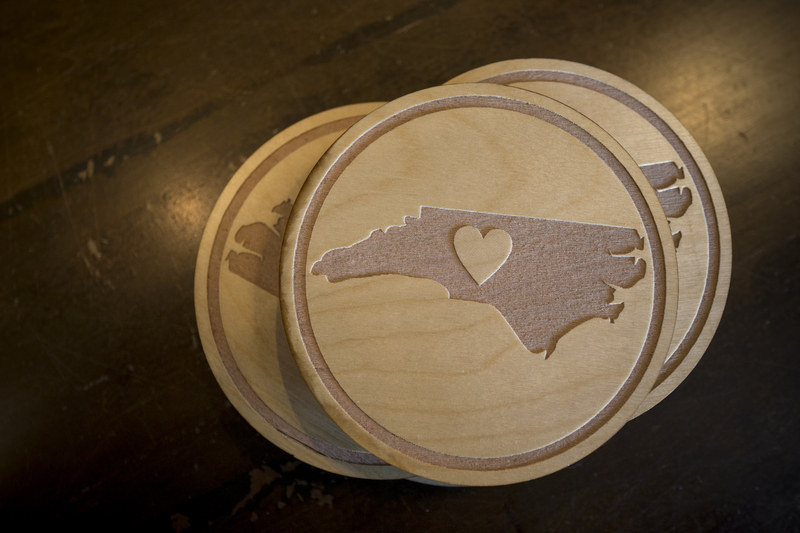 But don’t worry: lots of laser cut or engraved items are very budget friendly. 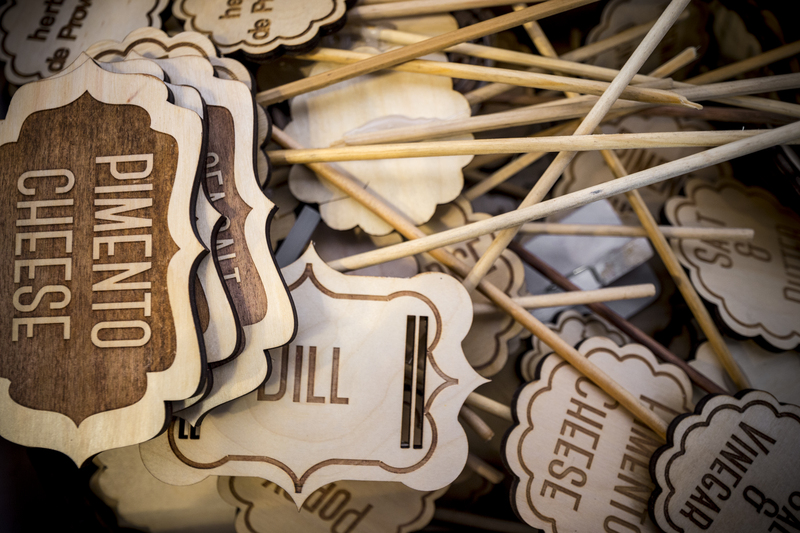 There are so many ways to incorporate a laser cutting into your wedding which allows you to have fun and get creative. 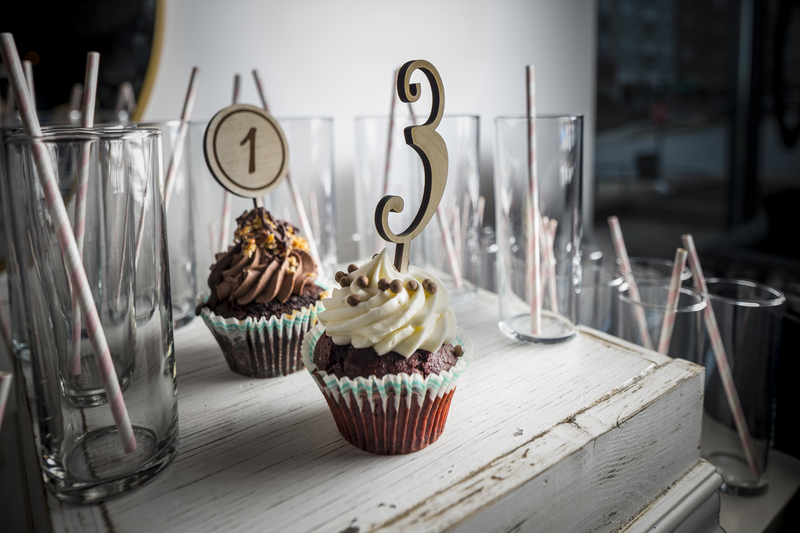 From cake toppers to hanging signs, all you need to do is dream up an idea that makes you smile and the laser will do the rest! Laser cuttings and engravings can be incorporated into your overall wedding design as you enjoy your many celebrations from your engagement to your wedding day. 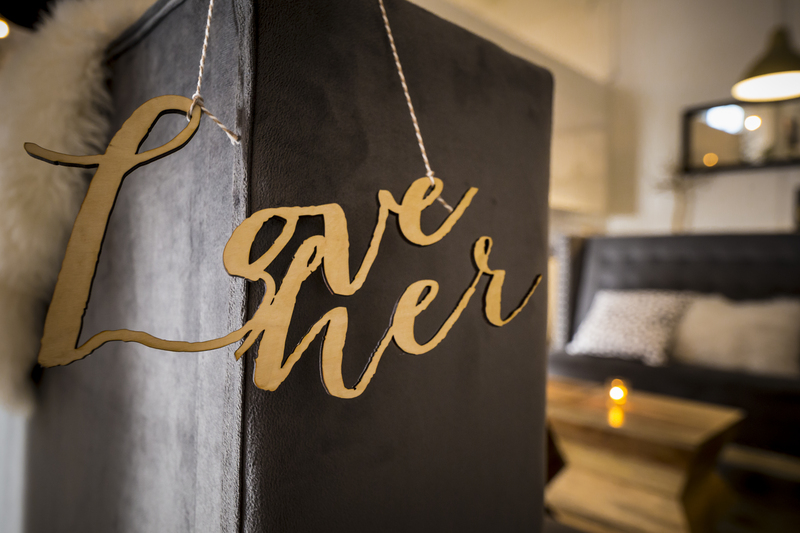 From wedding party gifts, to day-of signage, to guest favors, we can help you create something that will stand out in the minds and hearts of your loved ones. Our designs are always customized to fit your theme and can be incorporated in just about every category. 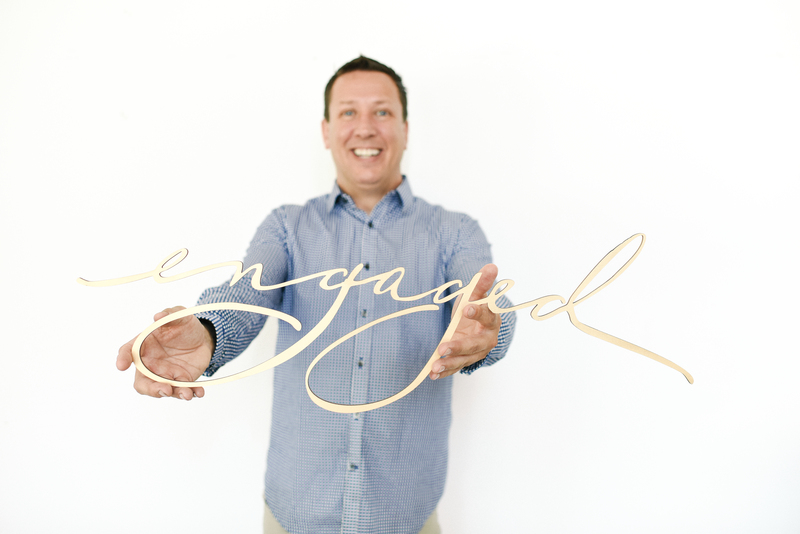 You can use a laser to create one-of-a-kind invites and Save The Dates, or even three-dimensional signage for reception decor and guest seating charts. We can etch your stemware or cake server with your names, monogram, wedding date, wedding vows, or anything else that is special to you. We can even laser cut a custom cake server that no one else in the world will have but you! Gifting your bridesmaids and groomsmen something special is pretty important. After all, these are the people who are willing to stand up and bear witness to your wedding vows, forever ready to support your love and marriage. And let’s not forget the wads of cash they’ll be spending on various parties, gifts, travel, hotels, and wedding attire just to be part of your bride tribe. While it’s true that friends and family know they’re making financial and time commitments when they agree to be in your wedding party, it’s still important to thank them with gifts that make them feel appreciated. What better way to say ‘thank you’ than by giving them a personalized gift that demonstrates how much personal thought went into picking it out? 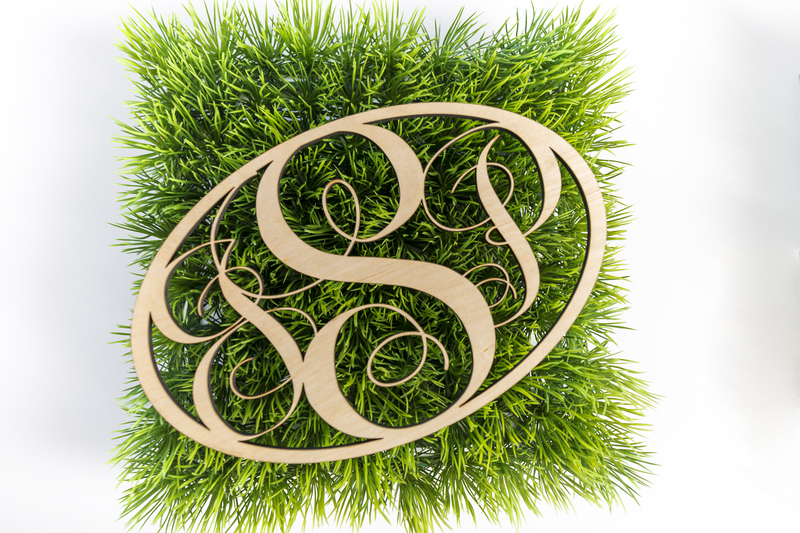 A laser cut monogram or word that they can use in their homes as wall hangings or shelf decorations will be a lovely reminder of the special bond you share, and the wonderful experience of being part of your special day. Another thing all couples have in common is a desire for their wedding favors to be unique. 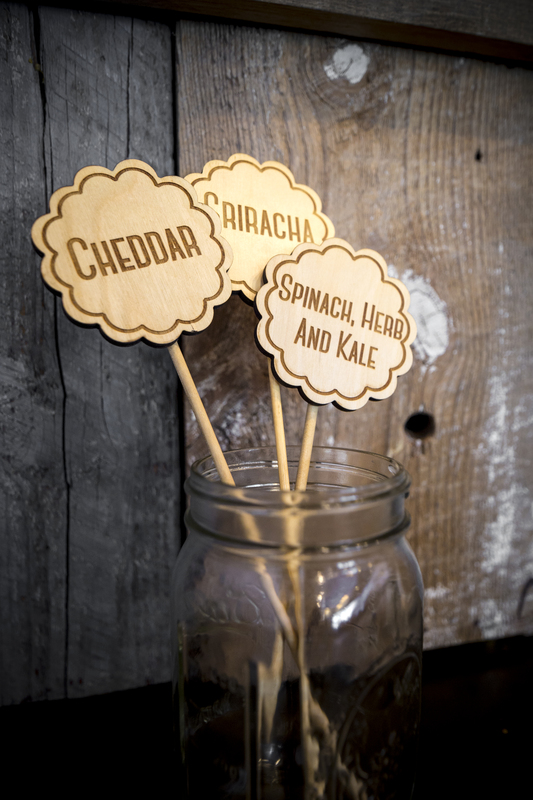 Brides and grooms want to offer something that their wedding guests will actually want to take home to not only make their guests happy, but to prevent money from being wasted on a throw-away novelty. Couples should keep in mind the capabilities of the laser tool when trying to nail down their perfect favor! 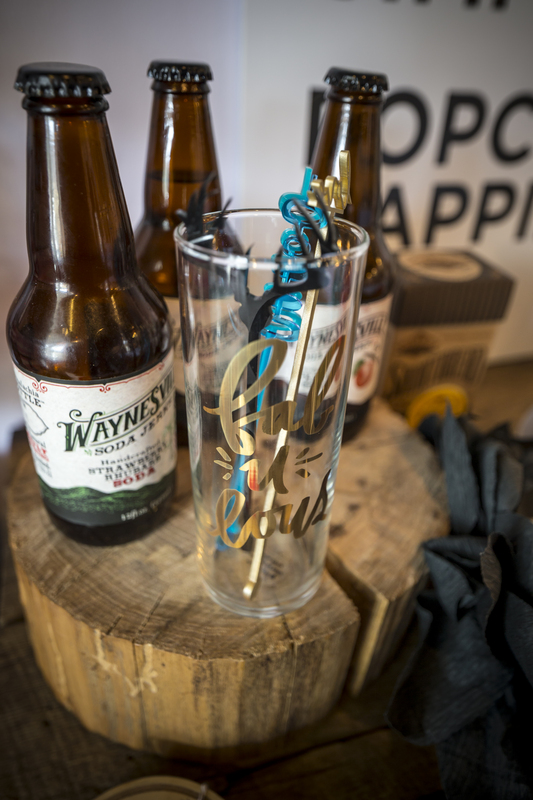 With a laser engraving you have the ability to create one-of-a-kind memory keepsakes for you and your guests, from personalized bottle stoppers to personalized cork coasters and wooden keychains. You can pull in shapes or details from your wedding location, venue, decor…anything that you’d like captured in a souvenir befitting of your special day! These kinds of gifts appeal to both guys and girls, and can be enjoyed for a long time after your wedding weekend. Get Creative with Laser Cuttings and Engravings! There’s really no limit to what you can create for your wedding with a laser tool! Here are thirty ideas we’ve come up with while working with our clients to create something truly special for their big day! We can work with all kinds of surfaces and materials for our laser cuttings and engravings! The most common ones we use include: glass; acrylic; plastic; bamboo; aluminum; wood; stainless steel; paper; leather; cardboard; mat board; foam core; reclaimed wood; and many more! 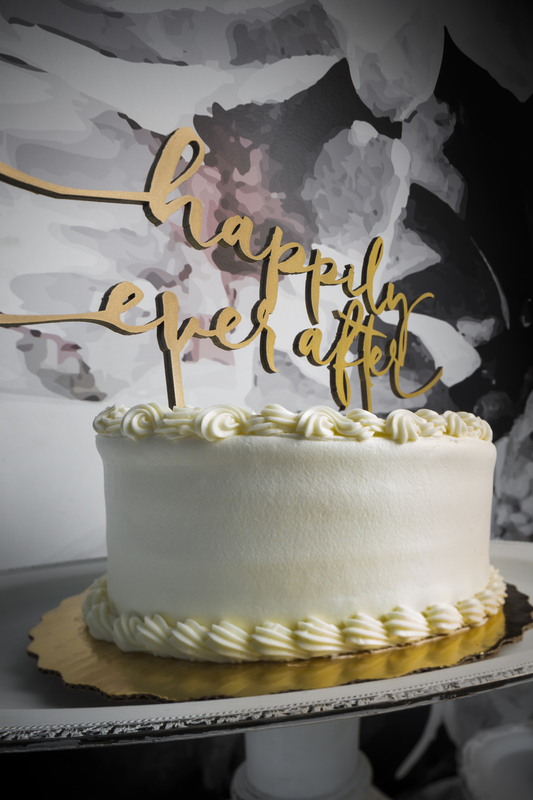 Whether you’re just getting started with your wedding planning or you’re closing in on the special day with just a few things left to check off your list, be sure to keep laser cuttings and engravings in mind for a way to add personality to your wedding design! 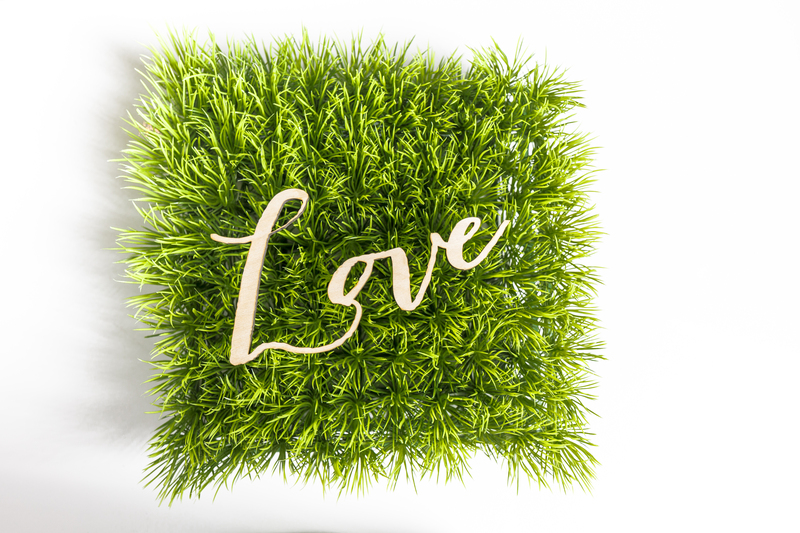 Not only will these custom pieces catch the eye of your family and friends, they’ll also be forever keepsakes by which to remember a day you shared in love and laughter with those nearest and dearest to you. Boomerang uses lasers to make customized products using almost any material! 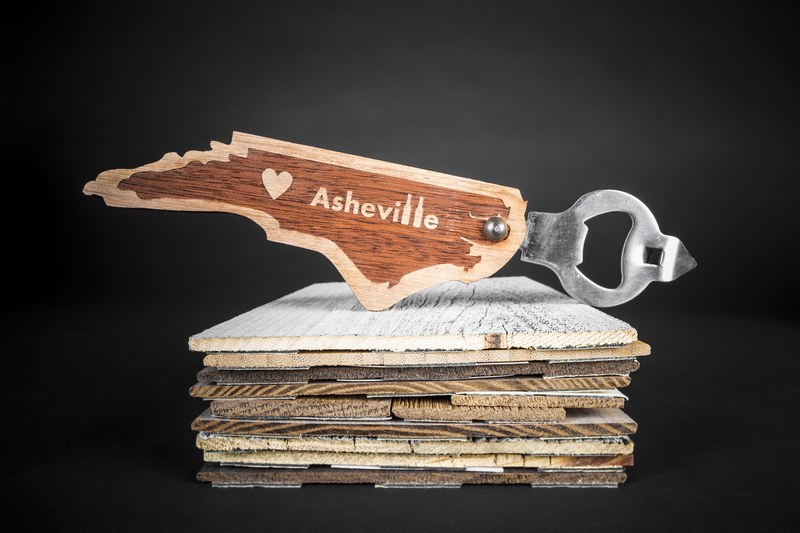 We cut from wood, metal, paper, acrylic, fabric, glass, cork, leather and more. Boomerang specializes in both the design and fabrication of our products. 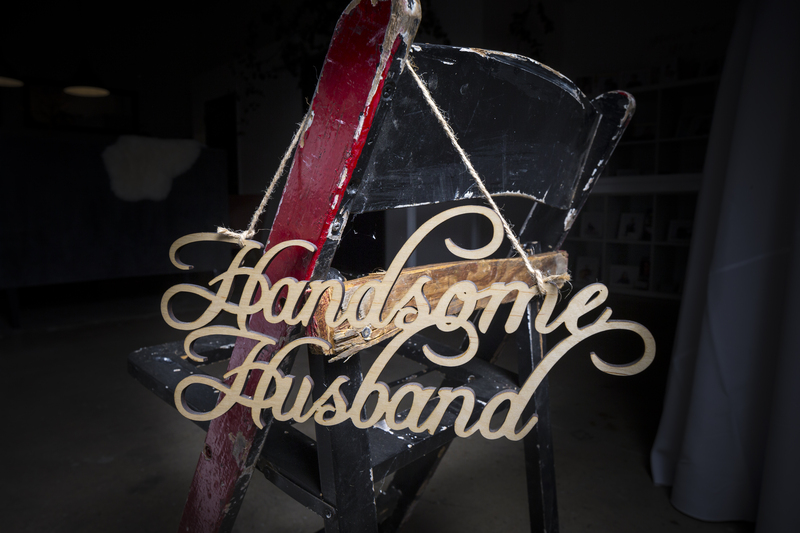 We specialize in product displays, home and wedding decor, custom wedding/event invitations and one of a kind signage. You dream it, we can laser it. To learn more about Boomerang Custom Laser, please refer to their profile on our Creative Team page.